The group of experts looking at ways to encourage green travel has come up with a package of measures which they hope will boost the number of electric cars on Dutch roads to two million by 2030. The mobility group is one of five separate think-tanks looking at ways to stop climate change and cut carbon dioxide emissions. The other four cover electricity, industry, agriculture and the built environment. The measures so far agreed include the highly controversial scheme to phase out the use of natural gas in private homes, higher taxes on industrial carbon emissions and phasing out the sale of non-electric cars. Broadcaster NOS has now obtained confidential documents from the mobility group which, it says, have now been agreed by all the parties in the talks. They range from motoring organisations to green groups and government departments. The plans involve subsidising the cost of new electric cars for private use by €6,000 in 2021, and gradually lowering this to €2,200 by 2030. There will be smaller subsidies for company and lease cars. 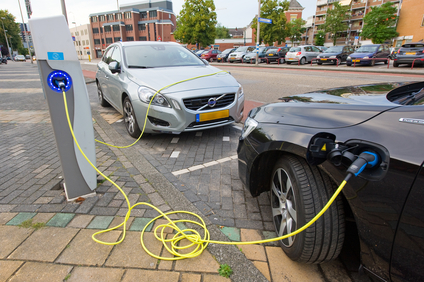 Electric cars will also be exempt from sales tax (bpm) and vehicle tax (motorrijtuigenbelasting) up to 2025, and measures will be taken to boost the second hand electric car market. Diesel and petrol car drivers will also pay higher rates of vehicle tax. Taxes on petrol and diesel will rise one cent per litre in 2020 and again in 2023. However, the shift to electric cars will reduce the amount of tax motoring generates for the treasury and the mobility group has now agreed to look at ways to compensate for this. Some form of road pricing, such as a tax per kilometre driven, maybe one of the options, NOS said.